Swiss Cottage Open Space sits at the heart of an ensemble of buildings of local importance including the public library by Basil Spence, a new leisure centre, the Hampstead Theatre, a community centre, the Winchester Project, offices, affordable housing, luxury housing and a home for the elderly. 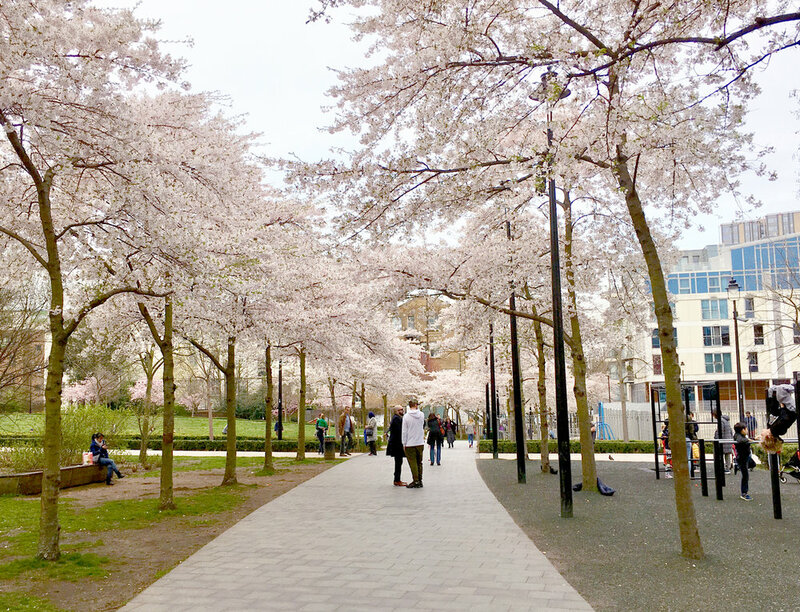 Two flowering cherry trees are used: Along the arching north - south axis avenue, a line of white-flowering cherry trees (Prunus x yedoensis) create a fragrant walkway when the trees are in blossom and provide brilliant autumn colour to define this key cross-site route. 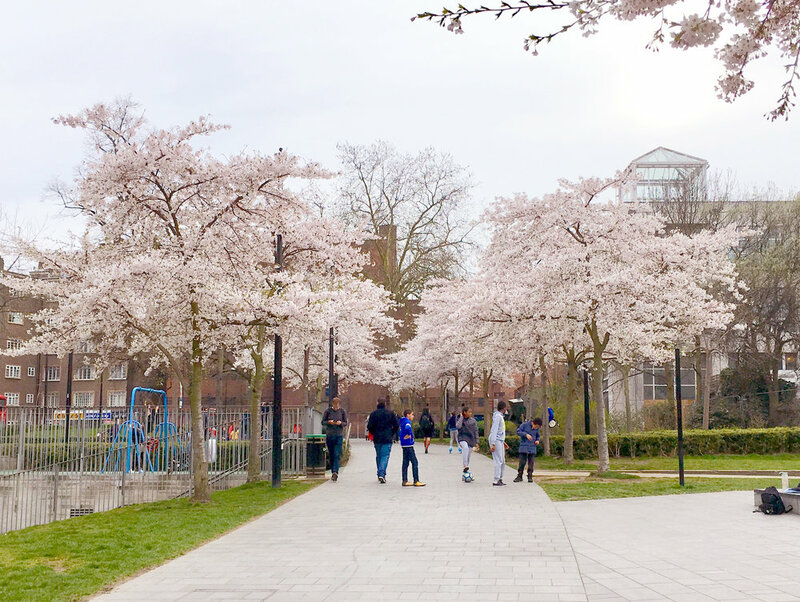 Adjacent to the sunken landform and east-west pathways, a lower secondary tree canopy is established comprised of pink-flowering cherry trees (Prunus x subhirtella 'Autumnalis Rosea'). Completed in 2006, the park eloquently weaves together the evolving cultural and recreational needs of this diverse neighbourhood and is one of four interlinked landscape projects by Gustafson Porter + Bowman on this site, including: the Swiss Cottage Library entrance, the Eton Avenue market, and the Leisure Centre landscape. Coordinating these related projects and new architectural elements, the park transforms a collection of loosely related functions into a coherent communal setting with an elevated sense of place.